My beautiful family all road-tripped down to Melbourne recently for my 30th birthday. Celebrations aside, one thing I had really wanted was to cook for everyone. It didn’t really end up happening though. We ate out a lot, accompanied with glasses of wine and beer. We ordered in takeaway over catch-ups. We explored Melbourne like the true tourists we (yes, including me) all are. I only really cooked one meal the entire time. Something I really wanted to make that week was these pies. On Facebook, prior to the drive from Sydney, my brother had (jokingly?) requested I make him a “butter chicken pie”. Filled with chicken, tender vegies and a home-made tikka masala paste, I think these are a much better idea (though I reserve the right to make an attempt on his suggestion at some point). Enjoy one of the most popular (restaurant-borne) Indian dishes in the world…. in a pie! So, what’s been fresh and fantastic this week? I had a very refreshing week back at work, after a week off for my birthday. Returning to work also means I’ve been able to visit my favourite grocer daily. I’ve bought up on berries, bananas, stonefruit and end-of-season cherries for some delicious desserts over the weekend. Yum! Enjoy one of the most popular (restaurant-borne) Indian dishes in the world.... in a pie! Heat coconut oil in a large saucepan. Add chicken and cook over medium high heat for 5 minutes or until browned. Add sweet potato and tikka masala paste, cook for 1 minute or until fragrant. Add coconut milk,juice, sauce and sugar. Bring to a boil then reduce heat and simmer, uncover for 10 minutes or until sweet potato is tender. Remove from heat and stir in beans, broccoli and coriander. Set aside to cool for 30 minutes. Preheat oven to 180C. Lightly grease 4 holes of a texas muffin tray or 4 individual pie tins. Proceed with making Easy Spelt Pastry recipe or cut pastry sheets into quarters. Reserve half the pastry amount. Roll out pastry to a few millimeters thickness and line tins, leaving a little overhang. Divide chicken mixture between tins and brush edges of pastry with beaten egg or water. Place reserved pastry over filled pies and press down edges well to seal. Use a sharp, wet knife to trim excess around edges of pie. Brush tops with egg and use knife to cut a few holes on top of pie. Bake for 30 minutes or until pies are golden brown. 1. Mix flour and salt in basin, rub in fat. 2. Using a knife to cut and stir, mix with cold water to form a stiff dough. 3. Turn dough on to a floured surface and knead lightly. 4. Divide into 8 portions and roll out into rounds to a few millimetres thickness. Gluten-free: replace spelt flour with gluten-free all purpose flour. Happy 30th 🙂 Mine is in September! These chicken tikka masala pies look phenomenal! I am a big fan of Indian food and you’ve got the perfect ingredients to make this one delicious and healthy! Thanks for the birthday wishes Natalie! How are you feeling about turning the big 3-0 this year? I feel surprisingly young and immature still – it’s great! Thanks Katherine! 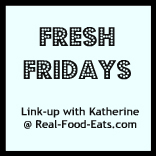 Thanks also for letting me take part in Fresh Fridays! These look sooo good. Like a healthier, tastier hot pocket. Thanks Christine 😀 It’s exciting to be in my 30s now! You had me at the individual servings! This looks delish! Thanks! Yep, I’m a sucker for individual servings – both sharing and leftovers for work are so, so easy. Happy belated Birthday! Hope it was a sweet one. Since you will no doubt have a million delicious vegan pie ideas for your upcoming book (that I’ll be buying to add to my book collection), I have no fears of you stealing this chicken pie idea! Great idea making these pies individual. Have you tried freezing? Thanks for the recipe to try out. I have tried freezing them, I actually have a few in my freezer now as I love the individual size for handy portions. I prefer to freeze after baking, they thaw easily overnight in the fridge to be reheated in the oven for 20min on 180-200C. Thanks for the comment and question Autism United! Yum, I love the hand pie idea, and tikka masala is a favorite! Pinned for trying Ally, having fun poking around your recipes!